It is with a heavy heart that I learned that Joe Esposito died on November 23, 2016 at the age of 78. My thoughts and prayers go out to the family, loved ones, friends, etc.. May God grant them time to mourn. Time to heal (as best as is humanly possible). And always recall/remember the acts, passions, simple gestures, etc. of Joe Esposito. Elvis Presley met Joe while in the US Army in 1958 and their friendship grew with Elvs ultimately offering Joe a job working with Elvis upon their discharge(s) in 1960. And during Elvis wedding in 1967 he was “co best man” with Marty Lacker who is a priceless asset to the Elvis Presley community worldwide along with being an exceptional man with an exceptional family. Joe Esposito was one of the “Memphis Mafia” the nickname given to Elvis’ entourage during the 1960’s. We will be adding (sadly) this information to our Elvis Presley website http://www.ElvisCollector.info along with so many other quality individuals who have (sadly) passed away over the years. There are those living who Elvis loved, cared for, befriended, trusted, etc. They are including but not limited to; Marty Lacker, Billy Smith, Red West, Sonny West, Kathy Westmoreland, etc. I encourage everyone to seek these individuals out. To support them in all of their professional endeavors. To let them know how much you appreciate their firsthand accounts of being with Elvis onstage and off for decades. To promote healing within the Elvis Presley community so that we can cherish/focus on the facts, good and not so good, about Elvis the man and Elvis the performer. Joe Esposito you will be missed. But, you will never be forgotten. In a few weeks (i.e. August 16, 2012) Elvis fans worldwide will pay their respects in remembrance of Elvis death of August 16, 1977. The events of August 16, 1977 and the weeks following were a plethora of emotions; depression, uncontrollably crying, denial, hurt, despondent, angry, and most of all the questions of…”why”. Since Elvis’ mother died on August 14, 1958, and Elvis believed that she was 42 years old when in fact she was 46, Elvis was devastated. He had been haunted by dreams, and steadfast belief that he would never “outlive momma”. Thus the first two weeks of August 1977 were days of self reflection and the realization that his health had deteriorated consistently since mid 1972. The health issues of his dad, the mourning of his mothers loss and the belief that he was going to be the same age she was when she died, the monetary stress, the federal investigation into the plane he purchased, and Elvis complained about “feeling bad to my very bones”. Far too many people have taken sides about Elvis and his death. Some people blame Ginger Alden who was in Elvis’ bedroom and was the last person to see Elvis alive. There have been reports that Ginger had taken medications as it was her “time of the month”. 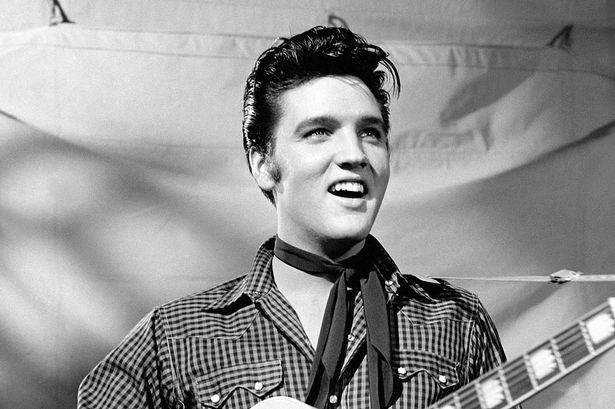 Others blame the authors of the book “Elvis What Happened” for Elvis’ death. In both cases those who reach these conclusions omit fact after fact without ever realizing that our time on this earth is NOT determined by us…but by our maker. So the reality is that it was Elvis time to die. Through the years I have seen hate speech levied at Ginger Alden and her family and also to Red West, Sonny West, and others who wrote parts of the book “Elvis What Happened”? I have always responded and stood up to each and every person spewing these untruths. Elvis loved Ginger. Did he love her enough to marry her? I don’t know. Would they have stayed together had he of lived? Who knows? Elvis loved Red and Sonny West. Red and Sonny West loved Elvis. I believe that Ginger Alden, as any human would, and her family have (at times) been subjected to terrible comments/threats/name calling about her relationship with Elvis and that is sad. Equally as sad are the vitriol hatred blaming Red and Sonny West for Elvis death. Ginger Alden and her family did not deserve to have to be under attack all these years. Neither does Red and Sonny West and their family members. I know making this statement will “offend some” but as a man of God I never expound on the “whys and ifs” but instead on the life the person lead – their accomplishments – their dreams – their circle of family/friends, etc. I believe that if Elvis was in the room, with Ginger Alden and Red and Sonny West, that there would be reconciliation – heartfelt discussion – and perhaps even healing of the pains/hurts and a commitment to focus on what was really important and that was the real – loving – caring role that each of these people paid in the life of Elvis Presley. August 16, 1977 was a sad day for me yet as I type these words I am saddened when I learn that people who loved Elvis, and Elvis loved them, are under attack in stead of being acknowledged, supported, respected, and having a consistent presence within EPE. I hope that other Elvis Presley Fans will support the sentiments specified herein and join me in celebrating the life of Elvis Presley…and those who were integral parts of his life.